Just how low have our "progressive" friends sunk this year? They're now perfectly happy with overt dishonesty from Democratic Party leaders for the political backbone it supposedly provides. 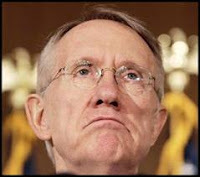 Let's face it, lefties KNOW Harry Reid is lying about Mitt Romney's tax returns. But some are brazenly calling for more fibbery! Sadly, there's NO basis for the Nevada Democrat's repeated claims of improprieties. Even the reliably liberal Washington Post has now slammed Harry's antics. Nancy Pelosi, Reid's House counterpart, is now hastily attempting to bail him out. Good luck with that. LEE PAPA (REGULAR GUEST) (33:52): My ethical standard is that we [Democrats] should be telling better lies. So frankly I don’t even care if this [Reid on Romney’s taxes] is true of not. I think it’s remarkable that a Democrat is actually playing hardball. Here's to pathological dishonesty! Let's raise a glass in tribute.